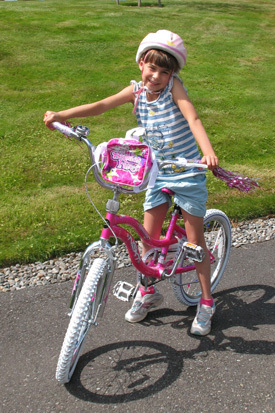 A bigger bike: Sofia grew a lot over the summer, and one of the things she no longer fit was her bicycle, the same one she'd finally shed of training wheels just last summer. Her new 20-inch bike is hot pink and has hand brakes. Watch out, 'cause she's coming! 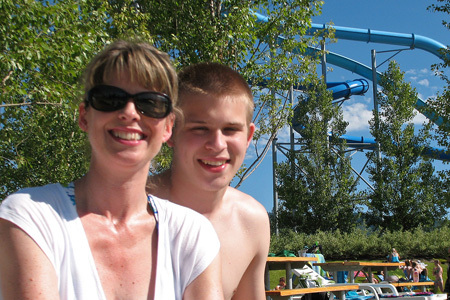 A screamin' good time: While Jan and Sofia were still in Holland, Amy took Cameron and friend Emily to Coeur d'Alene, Idaho, for a long weekend at Silverwood Theme Park and Boulder Beach water park. We had a blast in the hot temperatures and on the screamin' rides. At Boulder Beach with water rides—perfect on a 90-degree day!—in the background. 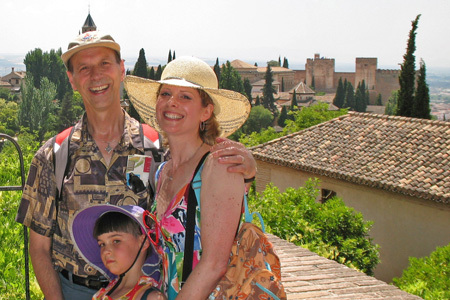 Our first day, in Granada, in the beautiful gardens of the Generalife, with the Alhambra in the background.